Whether you’re renovating your home, cleaning out your garage, downsizing or decluttering, Habitat NYC’s ReStore accepts your gently-used furniture, appliances, cabinetry, building materials and other household items. It’s easy: To donate, please submit photos of the donation item/items to restore@habitatnyc.org – no phone calls please. Someone will return your email in 48 hours, and will let you know if the ReStore can accept your items. You can then simply drop off your items to the ReStore anytime we’re open, or you can request a pickup. 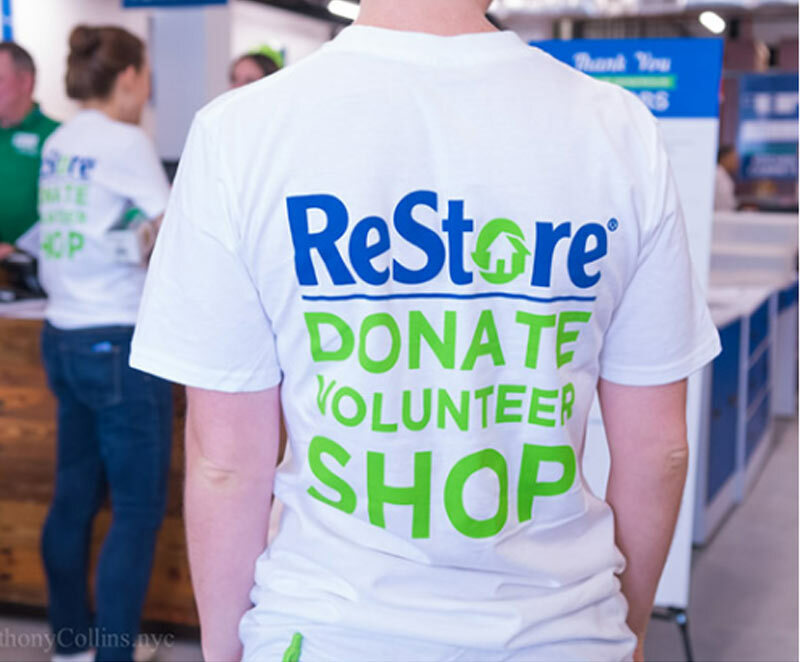 Donating to the ReStore is good for NYC and for you: all proceeds from the store support Habitat NYC’s mission, and all donations are tax-deductible. Click below for a list of things that can and can’t be donated. The ReStore donation trucks can drive up to 15,000 miles a year picking up donations, and that can contribute to a lot of CO2 emission. Through a grant made possible by the Attorney General of New York’s office, the ReStore uses two all-electric trucks to pick up ReStore donations, keeping our air cleaner for everyone. Can’t fit the couch you want to donate on the subway? You can also request a pickup, as long as it fits within our guidelines. To request a pickup, email us photos of your item(s), your location, and your preferred pick-up times, and we will get back to you within 48 hours. Is your business interested in donating materials to the ReStore? Call 646-876-9460 or email restore@habitatnyc.org. Follow the Habitat NYC ReStore and be the first to know when something great comes in. Got any extra furniture, building supplies or décor to spare? Skip the stoop sale and donate it to the ReStore.